Grave of 3043 Private (Pte) Thomas Crooks, 17th Battalion, of Rozelle, Sydney, NSW. A tram conductor prior to enlistment he embarked with the 7th Reinforcements on HMAT Suevic (A29) on 20 December 1915. He later transfered to the 55th Battalion and died of wounds in France on 13 October 1916, aged 25. 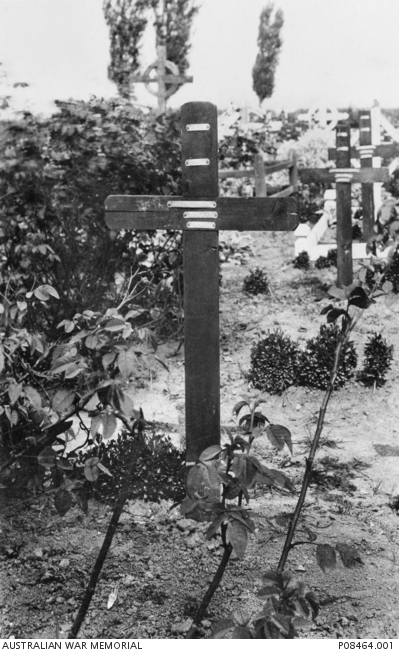 Pte Crooks is buried at Estaires Communal Cemetery, France.